Description: A timeless decorative expression for a variety of interiors, this stunning wall sconce features Whitestone Idalight which is complemented with decorative studs and accents in a striking Cajun Spice finish. A minimalistic diagonal-cross X pattern provides the finishing touch. 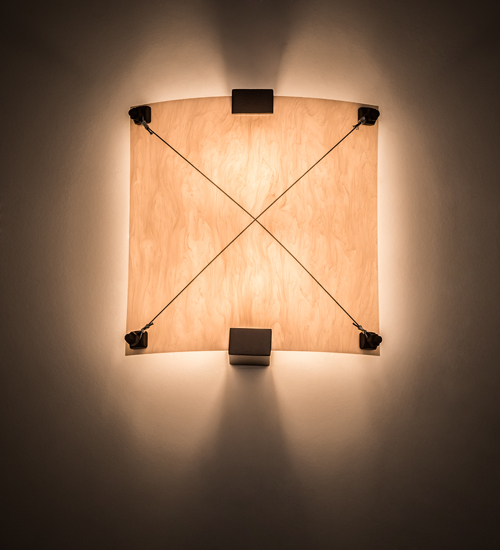 The fixture is custom crafted in the USA. Custom colors, styles, sizes and dimmable lamping options, including LED, are available. This wall fixture is UL and cUL listed for damp and dry locations.